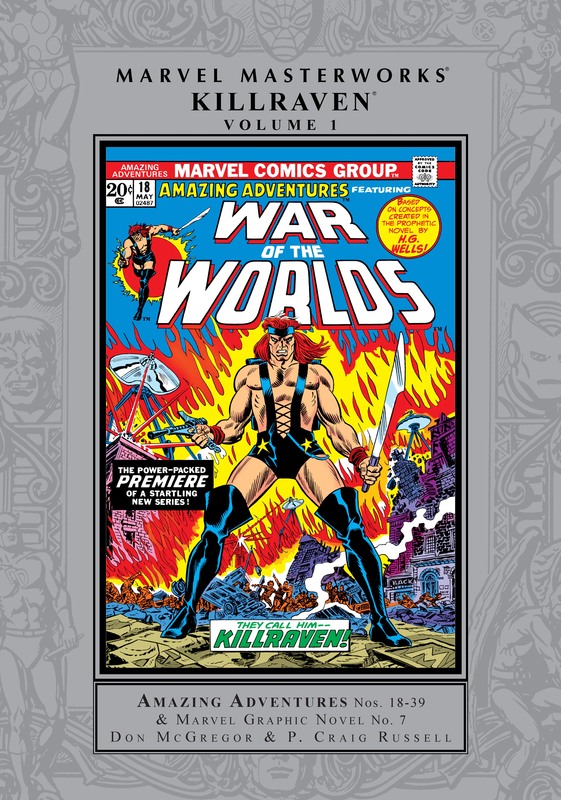 Collects Amazing Adventures (1970) #18-39 And Marvel Graphic Novel #7. It is the year 2018. The Martian invasion of Earth has left our world shattered and its population enslaved. 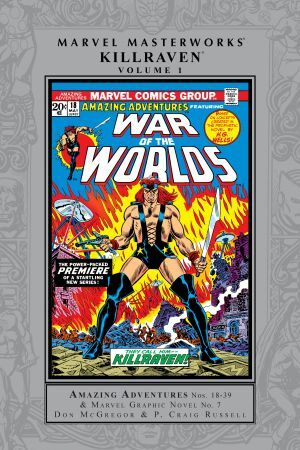 Into this post-apocalyptic nightmare comes Killraven, a man obsessed with his mission: to free Earth! Don McGregor and P. Craig Russell took on Killraven’s quest, and together they crafted some of the most compelling and nuanced comic-art masterpieces of the era. Their hero and his band of Freemen rebels strive, grow, battle and love with a humanity that’s as touching as it is exciting. 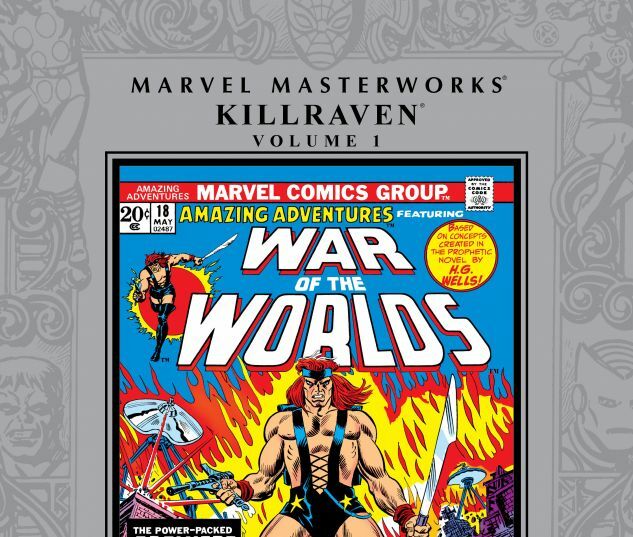 And now, the complete Killraven sci-fi action opus is collected in this incomparable Marvel Masterworks!